Ron Anglin was born and raised in Middle GA where he was proud to be a member of the FFA and the first male to be a Nursery Worker in his Church. He graduated West Point, flew Helicopters in the 82nd Airborne Division, then taught and coached high school for 9 years in his hometown. In 1999 he became a full time juggling performer and taught for Cirque du Soleil's youth outreach program from 2000-2016. He became dr. tiny in 2005 and loves to surprise people with his Hip-Hop Alter-Ego T.I. From NY! Denise Arribas got her BFA in Musical Theatre from Shorter College in Rome GA and has worked all over Atlanta in theaters such as Alliance Theatre, Actor’s Express, Center for Puppetry Arts, 7 Stages, Horizon Theatre and Aurora Theatre. In 2010 she was fortunate enough to be able to use her musical theater skills and the innate clowning skills she’s been honing since childhood and put them to good use in the hospital when she joined the Atlanta Clown Care Unit. In 2015 she became the Site Coordinator at Children’s Healthcare of Atlanta at Hughes Spalding. When not clowning around at the hospital she is an on-camera actor with Houghton Talent and a translator/ voice over actor with Enghouse Interactive. Stephanie Friedman received her BFA from Boston University's College of Fine Arts and also studied at the London Academy of Music and Dramatic Art. She worked as an actor, director, and musician in Boston, before moving back to Atlanta. Locally she has performed with the Alliance Theatre, Actor's Express, Aris, Aurora Theatre, Georgia Ensemble Theatre, Out of Hand, Theater Emory, and Stage Door Players. Stephanie is currently the Director of Education for the Art’s and Culture Department at the Marcus Jewish Community Center of Atlanta. Meredith Gordon is a founding member of Humorology Atlanta, Ha! Meredith received a Bachelor of Arts degree from Middle Tennessee State University as a Theater and Music Industry student. 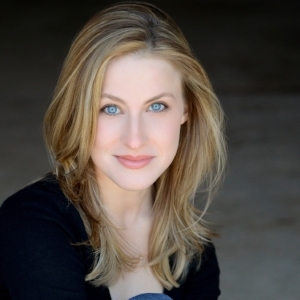 Since that time Meredith has performed as an actor with the Alliance Theater, Georgia Shakespeare Festival, Atlanta Shakespeare Tavern, Jomandi Productions, Georgia Ensemble Theater, and Theatrical Outfit. He also performs as a clown at corporate events and parties as a stilt walker, clown, and juggler. In addition to clowning, Meredith worked as a coach for Cirque Du Monde, an outreach program of Cirque Du Soleil. Meredith began his career as a medical clown in 2000 with Big Apple Circus Clown Care. Meredith served as the Site Coordinator for the Scottish Rite campus and later as the Team Supervisor for Big Apple Circus Clown Care in Atlanta. He has logged over 2,100 days as a medical clown at Children’s Healthcare of Atlanta. Reuben Haller delights audiences as a clown, musician, mime, and storyteller.He has been a Clown-Doctor at Children’s Healthcare of Atlanta for 18 years. Reuben was 'Head Clown' for Cirque du Soleil at a four-day grand opening. For 12 years Reuben has performed his acclaimed 'Fiddlin' Dan the Mountain Man' music/storytelling show at libraries and schools throughout Georgia. He created a solo clown show for The Atlanta Symphony Orchestra and shared the stage with the ASO as both a clown and as The Cat In The Hat. Reuben is accomplished on violin and mandolin. Maia Knispel is a clown/actor/director/theater maker/educator. She holds a BA degree in Theater Studies from Emory University, and an MFA in Theater Practice and Intercultural Actor Training from the University of Exeter, UK. Maia has recently been teaching Theater and Acting at KSU, Emory University and Oxford College and guest teaching (devising, acting, movement, ensemble creation, clown) for other universities, theater companies, and performance groups for many years. Maia is a Co-Founder Out of Hand Theater (2000), a company dedicated to ‘Event’ theater, ensemble training, and the creation of original work. Maia served as Artistic Director and Co-Producing Artistic Director of Out of Hand from 2001 - 2009. Maia began working as a Clown Doctor for the Big Apple Circus Clown Care Unit in Atlanta in 2006 and is now Program Director and Clown Doctor/Humorologist for Humorology Atlanta. 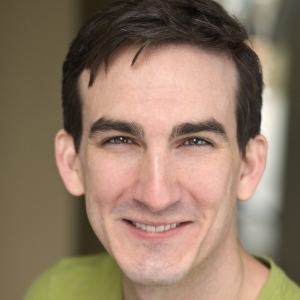 Adam Lowe has been an Atlanta-based actor, comedian, and variety entertainer for almost fifteen years. He is the co-founder and managing director for Thimblerig Circus, a vaudeville-style comedy troupe that has performed for crowds all over the country. He regularly collaborates with the Atlanta Botanical Gardens, the Georgia Aquarium, and other venues to bring a little extra weirdness to their audiences. When he isn't in a hospital near you, Adam can regularly be found walking around in costume on stilts, juggling, eating fire, or whatever else it takes to appease his unhealthy need for attention. Tom Pierce studied Children's Theater and Mime at Florida State University. He is a professional clown, mime, and actor. Tom and his wife Susan (also a mime) toured for over 20 years in schools, theaters, colleges, and festivals. Tom has performed in thirty states and seven countries. Gina Rickicki has been bringing her character-based fun to Atlanta for a few years since relocating from New York, where she received her BFA in acting from Long Island University. 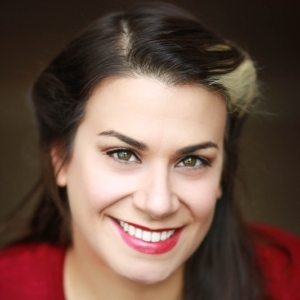 A professional actor and improviser, you may have seen her work at Essential Theatre, Theatrical Outfit, Dad's Garage, The Weird Sisters, Horizon, and Aris Theatres. In addition to acting, she performs her writing at live literature events around the city. She is also a makeup artist that loves making ideas become reality! Tim Settimi has been an entertainer for over 40 years. His career as a performer started as a touring musician and mime. College campuses have honored him with the title, “Campus Performing Artist of the Year” in 1984, 85, 86, 87, 88, 89, and 90 and “Campus Entertainer of the Year” in 1988. His skills include mime, stand up comedy, stunts, ventriloquism and music. He has appeared on television and theatrical film projects. He is a founding member of the Big Apple Circus’ Clown Care program at Scottish Rite Campus of Children’s Healthcare of Atlanta where he was, for 7 years, the site coordinator. 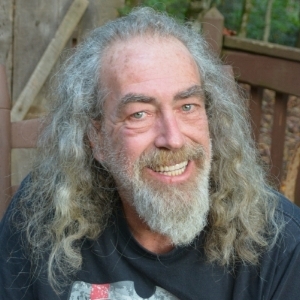 In 2007 he stepped down as site coordinator to produce The StreetStage Festival, Atlanta’s first festival of busking, public performance and street art. He is half of the comic music duo "Mike and Angelo". His off-stage passions include 2D and 3D art, woodwork and construction of all kinds. Bill Smith studied tuba and theatre at the University of Tennessee. Since 1981 he has performed professionally as a magician, actor, clown, escape artist, fire eater, juggler, and one-man band. He has performed as “Doctor Knottwright” with the Big Apple Circus Clown Care team in Children's Healthcare of Atlanta hospitals since 2006. He also currently performs as Pa Hatfield at Hatfield & McCoy Dinner Show in Pigeon Forge, TN. Also, as“Baffle-O Bill” he was one of five magicians in residence at The 1982 World's Fair in Knoxville, TN. He has performed at: The Magic Castle in Hollywood, CA; The White House Easter Egg Roll; Carnival Cruiselines; The Three Rivers Shakespeare Festival in Pittsburgh; The London Palladium; Ron Woods of the Rolling Stones 50th Birthday Party; festivals and theatres in Pittsburgh, Baltimore, Boston, Key West, Los Angeles, San Francisco, Canada, England, Scotland, Wales, Greece, and Spain.